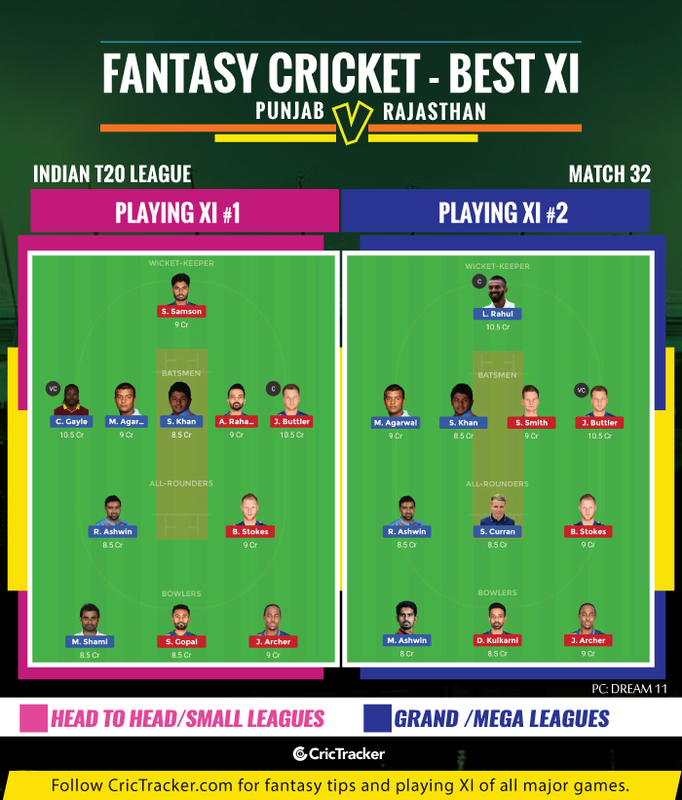 Who would you leave out among Gayle, Buttler and Rahul from your Fantasy team? After winning seven matches in a row at the PCA Stadium in Mohali, Kings XI Punjab (KXIP) lost to the Royal Challengers Bangalore (RCB) by eight wickets in their last home game. Though the encounter went down to the last over, Punjab could only pick up a couple of RCB’s wickets on a strip, which had pretty less in the store for the bowlers. In the meantime, Chris Gayle’s patient 99* went in vain. With the loss, KXIP currently stands in the fifth spot of the points table in this edition’s Indian Premier League (IPL). 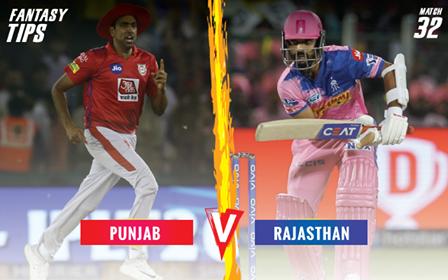 In their next contest, the Ravi Ashwin-captained Punjab-based franchise is scheduled to lock horns with the Rajasthan Royals (RR) at home itself. The Royals would be high on confidence as well after edging past the Mumbai Indians (MI) in a last-over thriller at the Wankhede Stadium. The 32nd game of the IPL between KXIP and RR will be hosted by PCA Stadium in Mohali. The match starts at 08:00 PM local time (14:30 PM GMT). As per AccuWeather, there are chances of rain throughout the day from morning 9 am to 12 am. Hence, there is a chance of the match getting abandoned as well. The cloud cover would be a significant one and it goes without saying that it’s not a good piece of news both for the cricketers and the fans. The pitch at the PCA Stadium in Mohali has been an excellent one, especially for batting. Runs will be on offer when the ball will be new and hard during the powerplay. Chasing on the strip seems to be the more sensible option. It’s difficult to pick Buttler, Gayle and Rahul in one team as all three have credits of 10.5. Punjab are expected to win this encounter. *Disclaimer: This team is based on the understanding, analysis, and instinct of the author. While selecting your team, consider the points mentioned and make your own decision.